First of all, happy first day of Autumn!!! It is just the best time of the year!!! The hype around Mario Badescu has been so high since last year, so at the start of the year, I purchased the 50th Aniversary edition set. I thought it would be perfect as it had a variety of the most popular items. The set was £32 but with student discount, it was around £28 (gotta love student discount). I have used it for a couple of months so I thought it would be a perfect time to share my review and give you a good old review. 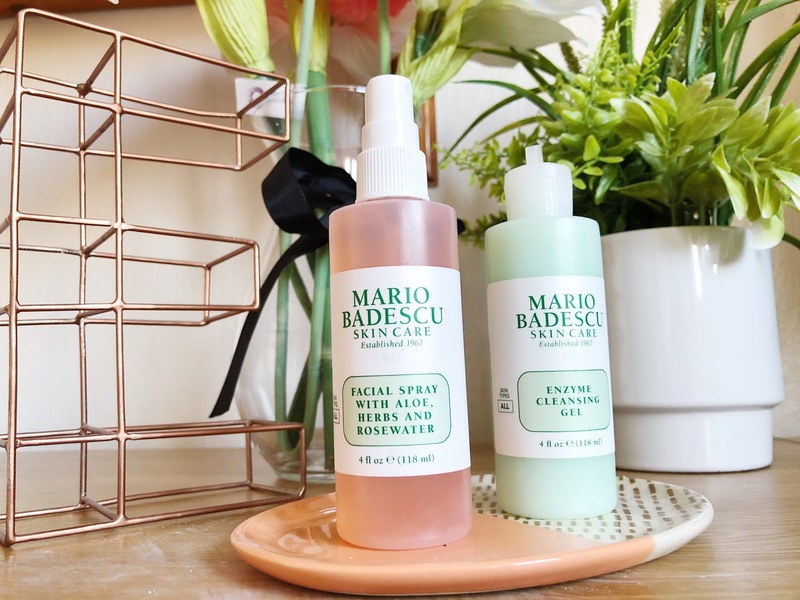 If you read my 'What a got for Christmas' then you would have seen that I actually got a full sized bottle of this Facial Spray. 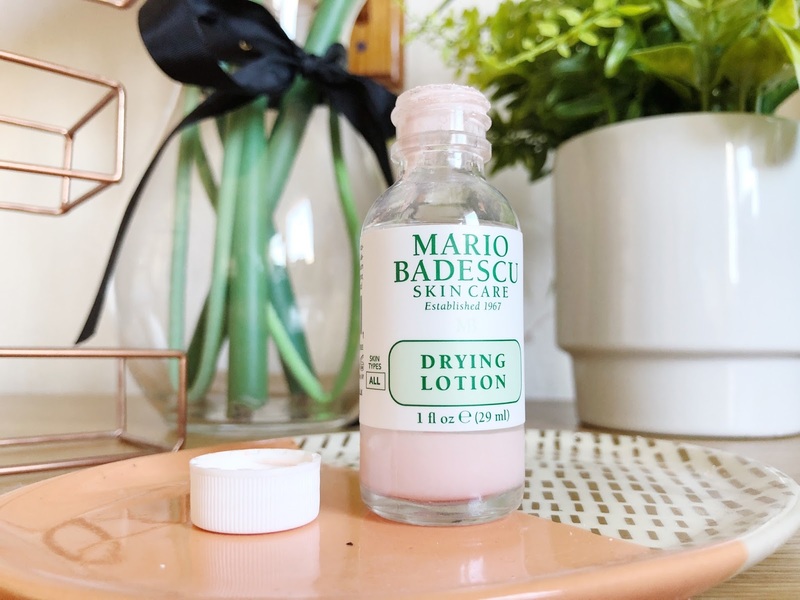 I use it every morning and every night, before makeup, after makeup and honestly whenever I feel I need a little refresh. It has become one of my go-to products! In the set, however, is a smaller sized bottle, I actually took to camp with me, it got super hot so spraying myself with these really did the trick over cooling me down. Overall, I love love love this, it is so refreshing and gives a natural glow! I had heard a lot of mixed reviews about this, so I was excited to give a try. I am a complete lover of the Soap and Glory's Peaches and Clean (a throwback to my first ever post) so always apprehensive about trying a new cleanser. I have a combination skin so it is perfect, it doesn't dry my skin out nor does make it oily. In terms of using it to take off makeup, I am not that big of a fan, it's quite thin in consistency so I just don't think it does the best job. I love it to use as a second cleanse or when I need to freshen up in the morning, it does leave my face feeling super clean. This was something I was most excited about, again I had heard some mix reviews. Anything that helps get rid of blackheads is a perfect product for me. However, I'm not sure if it was just me but it just never worked for me at all. The first view times I just couldn't work out how to apply it. After watching many videos, doing it right, nothing happened. It didn't remove my blackheads, it just made a mess all over my floor. I am all over facemasks, I love love love them, facemasks is just the best to give yourself a great pamper session. This one is no exceptions, I have a lot of redness on my face and blemishes so this is great to help tackle those areas. The facemask is so refreshing and leaves my skin so smooth and clean. I love how thick the consistency is so a little does really go a long way. It definitely has become a go-to facemask when I need a pick me up. I have nearly run out, so I am sure to ask for it for my Christmas! I am sure you have all heard about this, the famous drying lotion. I have heard soo many people talk about how amazing this is, so I was very intrigued to see how it worked. When I first picked up this product I instantly shook it, big mistake. So number one, don't shake it, the clear and the pink are meant to be separate. I actually really like it, it works amazingly with massive breakouts that look like mountains, you know the ones. It dries them out, and I have found that it leaves less of a scar than anything that I have used. The only downside is the smell, it has a very chemical scent, very over-powering. Sometimes I am just not feeling the strong smell before bed. I do love it, however, sudocream can do the job just as well. 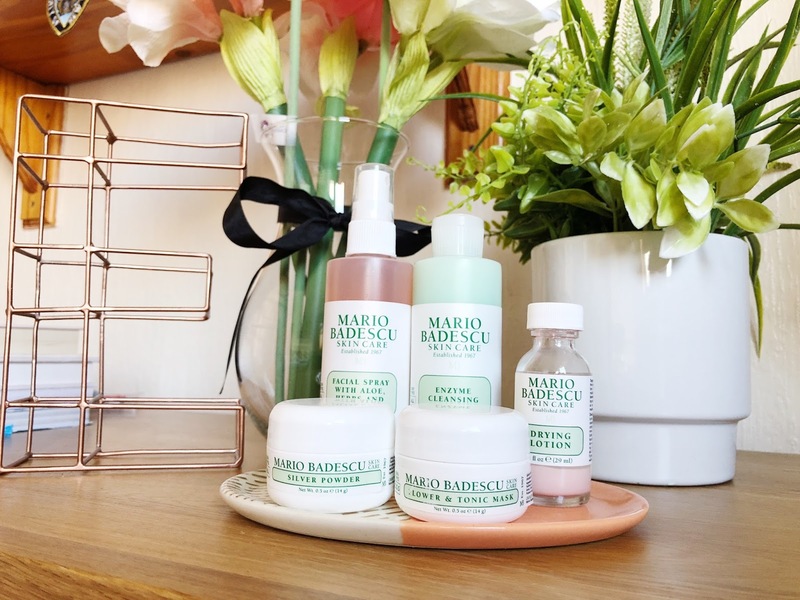 Let me know if you have tried any of Mario's products? 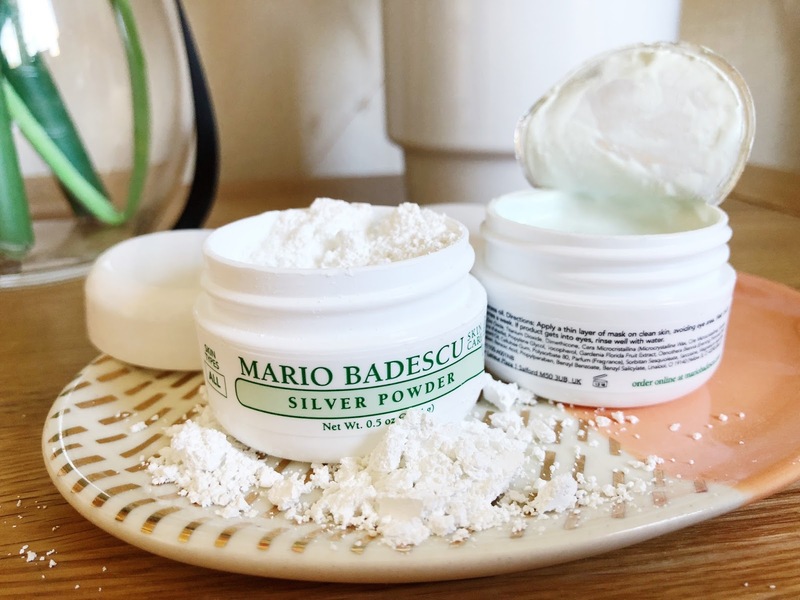 How did you get on with the Silver Powder?